Passover is just a few weeks away (how did that happen?!) and Matzah Balls or Kneidlach are one of my favorite Passover foods. 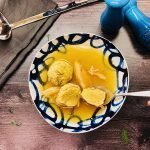 There are two distinct groups of Matzah Ball thought–floaters and sinkers. The floaters are light and fluffy, and the sinkers are a bit more dense. I am team floater all the way! 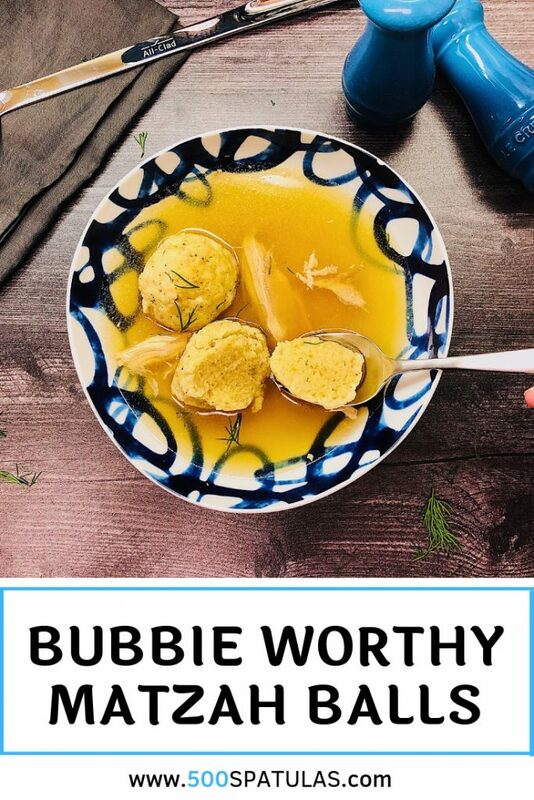 This Bubbie Worthy Matzah Balls recipe makes light and fluffy Matzah Balls that are delicious all year round. I never got a chance to make these for my Bubbie, but even if she did prefer the sinkers, I think she would still approve of these. 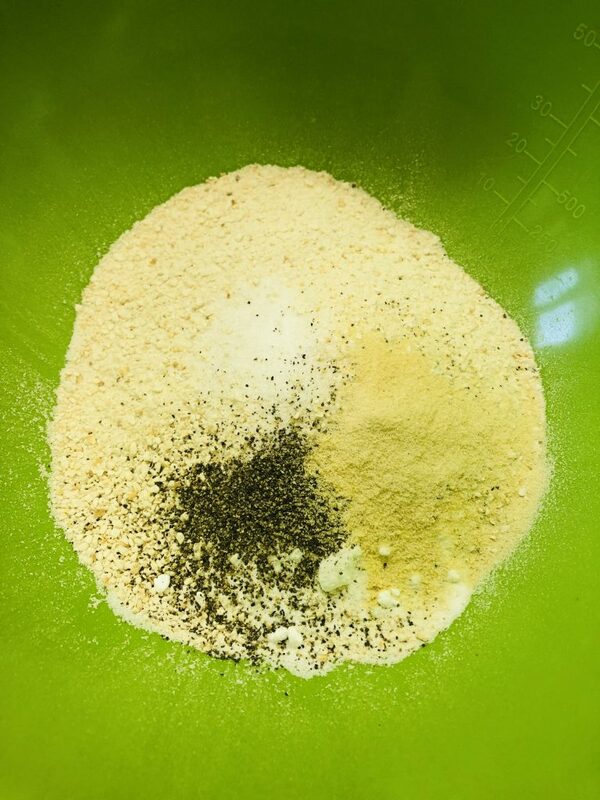 In a medium bowl, combine the matzah meal, salt, garlic powder, onion powder, and ground pepper. In a separate bowl, whisk the eggs and schmaltz together. Pour the egg mixture into the dry ingredients and gently fold until just combined. If using dill, add it now. Cover the bowl with plastic wrap and refrigerate for 30 minutes. While the batter is resting, bring a pot (you will need a lid for your pot in the next step) of salted water to a boil over medium heat. Once the water reaches a boil, reduce the heat to a simmer. Form the matzah ball mixture into balls, about 2 tsps each. Carefully drop the balls into the simmering water. Cover the pot and cook for 30 minutes. NOTE: No peeking while they are cooking! 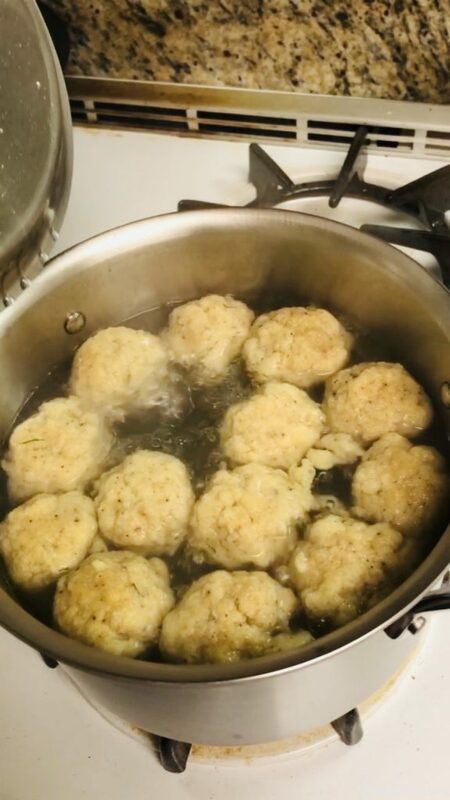 After 30 minutes remove the lid and you will see beautiful floating fluffy matzah balls. Use a slotted spoon to remove the matzah balls from the water and transfer to a dish. 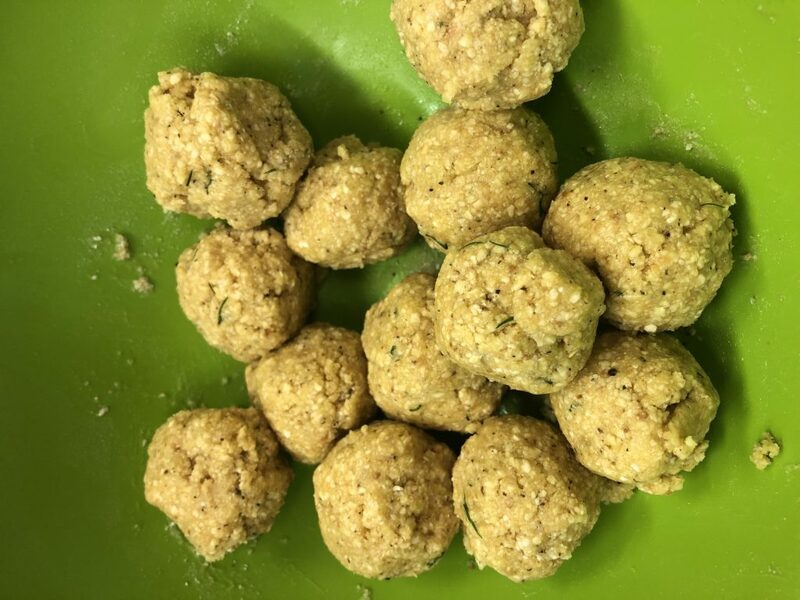 If you’re making these ahead, store the cooked balls in a ziploc or tupperware in the fridge until you need them. If they are coming form the fridge, bring the balls to room temperature before serving. I recommend serving this with my Homestyle Chicken Soup. Go ahead, make your Bubbie proud! In a separate bowl, whisk the eggs and schmaltz together. Pour the egg mixture into the dry ingredients and gently fold until just combined. If using dill, add it now. Cover the bowl with plastic wrap and refrigerate for 30 minutes. While the batter is resting, bring a pot (you will need a cover for your pot in the next step) of salted water to a boil over medium heat. Once the water reaches a boil, reduce the heat to a simmer. 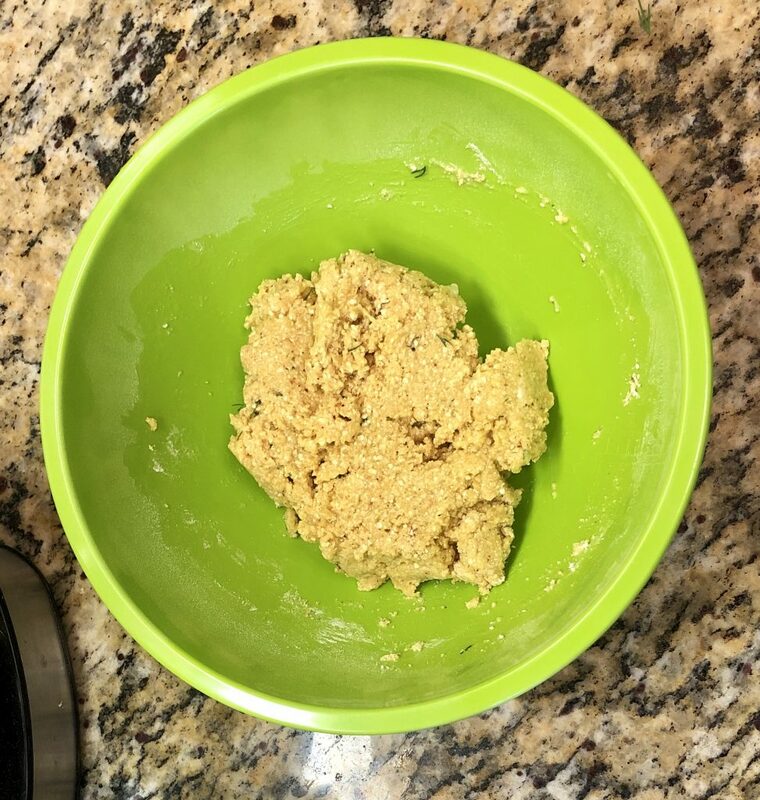 Form the matzah ball mixture into balls, about 2 tsps each. Carefully drop the balls into the simmering water. Cover the pot and cook for 30 minutes. NOTE: No peeking while the matzah balls are cooking! After 30 minutes remove the lid and you will see beautiful floating fluffy matzah balls. Use a slotted spoon to remove the matzah balls from the water and transfer to a dish. If you’re making these ahead, store the cooked matzah balls in a ziploc or tupperware in the fridge until you need them. 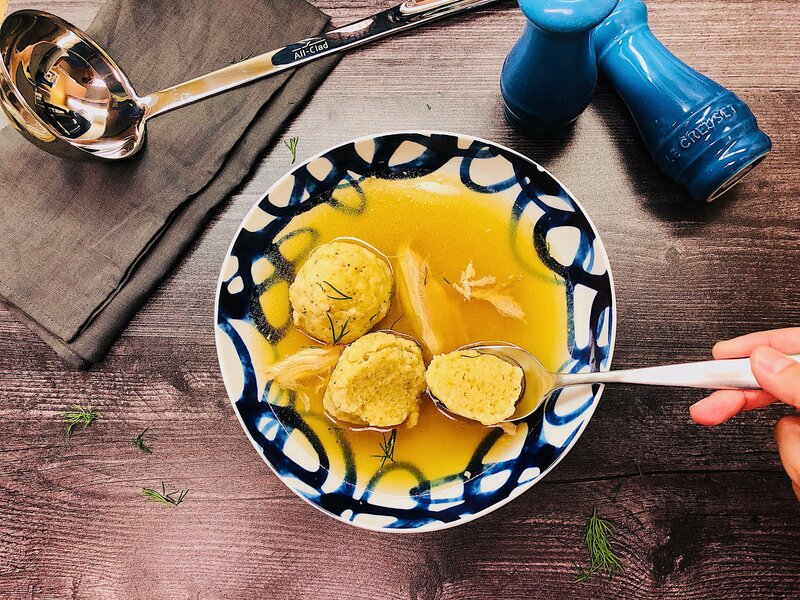 If they are coming form the fridge, bring the matzah balls to room temperature before serving.